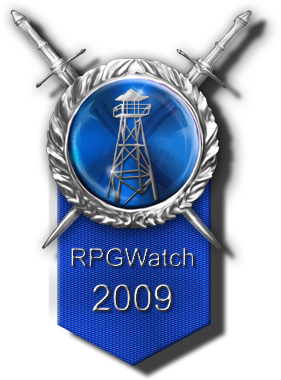 For almost two weeks you could vote for the Best RPG of 2009 and we now present you the results of your votes and the votes of the RPGWatch editors. An age in the making, BioWare finally returns to their roots with a classic fantasy cRPG. 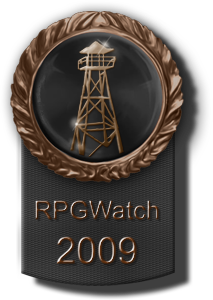 It may not quite live up to the heritage of Baldur's Gate but it's clear Dragon Age represents a genuine attempt to recreate the atmosphere, tactical, party-based battles and grand adventure that originally made them famous – all within a modern framework. The character writing is some of the best in years, with humorous party banter and great voice acting to bring it to life. The overall structure is linear but there are some memorable set pieces and key decisions to make, that impact the gameworld. Some of the underlying mechanics are hit and miss – the character development is too linear but the streamlined buff system really works and the (albeit limited) spell combos are fun. 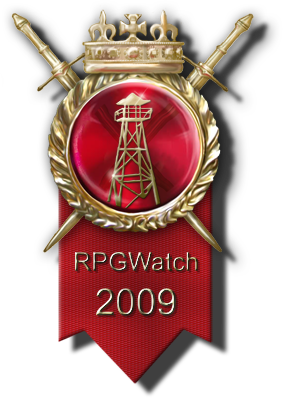 Overall, it's little surprise that the combination of traditional gameplay, memorable characters and strong production values that Dragon Age represents has been voted the best of 2009. Gothic fans have endured a difficult ride over the past few years. Gothic 3 was ambitious – even innovative – but lost sight of some of the core values that fans held dear, not to mention the rampant technical issues. 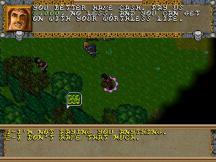 Then Piranha Bytes split with long time publisher JoWood and even lost control of some of the Gothic IP. Would Risen re-capture the old spirit? The answer is “yes”, although perhaps just a little of the magic has been lost in repetition. Risen sets out unapologetically to clone Gothic in a new setting, taking few risks but delivering tried-and-true gameplay that isn't found elsewhere. Despite the lack of evolution, no one delivers the same atmosphere as the Piranhas and the solid production is a welcome advance, so Risen collects a worthy second place. This vote proves that substance can win over style – and deservedly so. Knights of the Chalice basically does one thing only but it does it really well: it provides the best turn-based, tactical D&D-ish experience since Dark Sun. Sure, 320x200 is a crazy resolution in this age of massive flat panel displays and many gamers are going to dismiss the game out of hand after one peek at a screenshot but the mechanics are true and the AI is a joy, making for some good ol' fashioned adventuring. It's challenging, absorbing and has a simple purity of spirit. A surprise – but welcome - 3rd place winner. Many of the team have been long-time fans of Piranha Bytes, so it's little surprise that Risen polled strongly. It's not an innovative title but, in the main, it delivers on its promises and is pleasantly polished to boot. 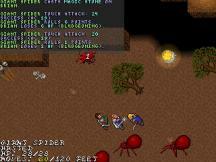 Likewise, Drakensang doesn't break new ground but offers a remarkably solid old-school trip with an under-utilised game system that adds a fresh feel. 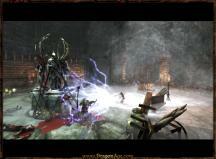 Dragon Age also builds on traditional game play but adds superb production values and fantastic characters. While we value substance much more than style, Dragon Age is one of those rare games that offers both. The following tables shows the complete results of the voting.